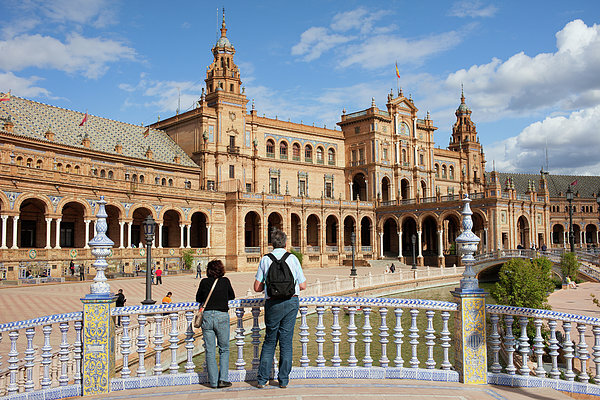 There are no comments for Plaza De Espana Pavilion In Seville. Click here to post the first comment. 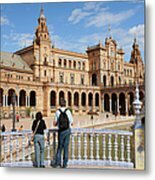 Plaza de Espana (Spain's Square) pavilion and tourists on the canal bridge in Seville, Andalusia, Spain.